I absolutely love sunglasses. I own a lot of them! Mostly cheap ones because I always seem to break or scratch them. Cheap sunglasses are also a great ‘victim’ for DIY projects. I love the aztec inspired prints that you see in fashion and I thought it would be a great idea to do something like that on my sunglasses. I absolutely love how they turned out and I’m not lying if I tell you that this project only took me 5 minutes. 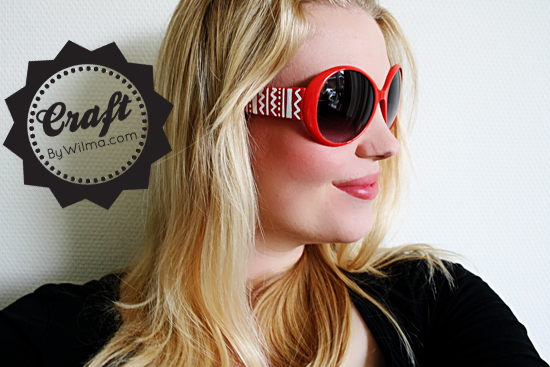 These Aztec print inspired sunglasses are a pretty, quick and easy to make DIY for everyone! I always loved to make my potato chips in the microwave, but lets be honest: nothing beets the real deal. So I thought I should try to make them in sunflower oil and see how they tasted.. Well I can honestly tell you that these are my new favorite potato chips! 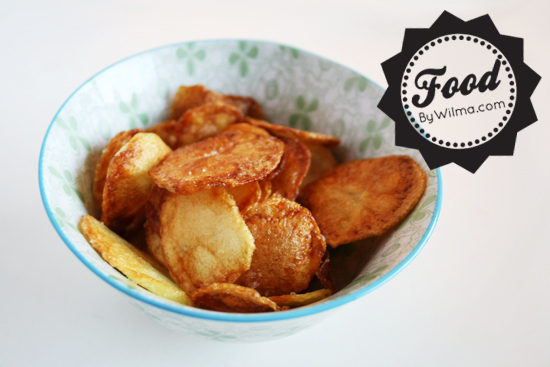 They taste so much better than store bought potato chips plus you can season them with whatever you like! You could try salt, pepper, Parmesan cheese, fresh herbs, paprika powder… This time I made them with just a little sea salt. And they are absolutely amazing! I really hope you enjoyed my washi tape marathon the last couple of weeks. 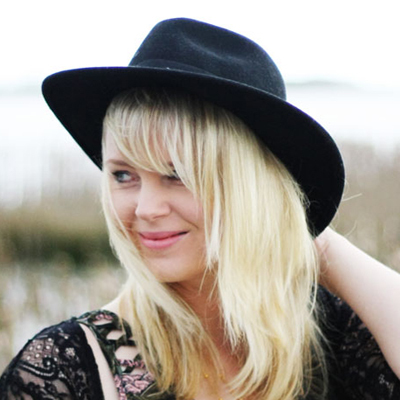 Today I want to share with you the round-up from all the ideas I have shared with you. Here we go! It’s time for the last DIY in my 10 day washi tape marathon. 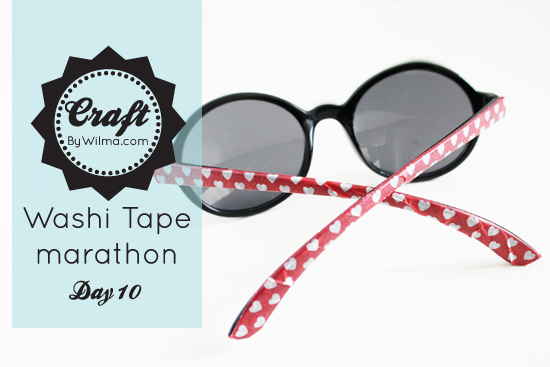 Today I have a quick and easy fashion item for you: washi tape sunglasses! You can give your old sunglasses a quick new look by decorating it with washi tape. Best thing: if your sick of it you can remove it and replace it with a different pattern! 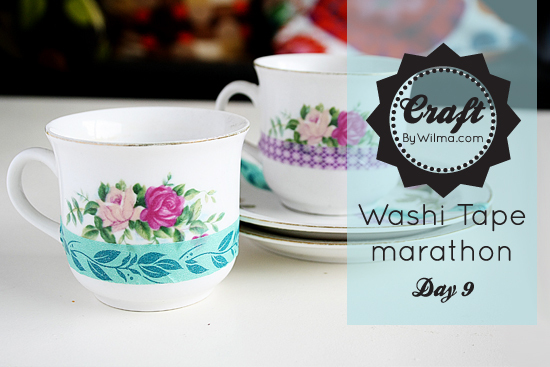 We are at day 9 of our washi tape marathon. Just one more day to go! Today I want to show you a simple and fun way to make your tea party even more fun. These washi tape tea cups also comes in handy if you have a lot of the same tea cups! It’s day 8 of my 10 day washi tape marathon. 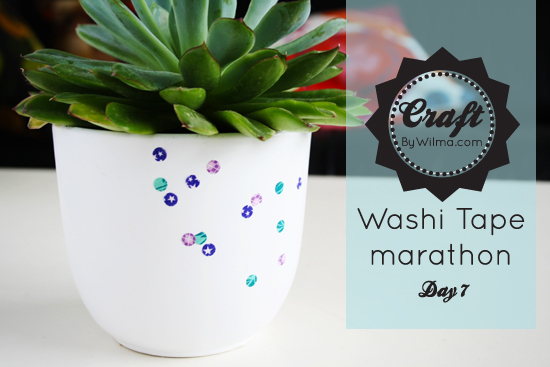 Today I want to show you how you can make stickers from your washi tape. In this example I make round stickers but you can make washi tape stickers in every shape you want. You just need a large punch in that shape. If you don’t have craft punches you could also draw the outlines of your image on the back of freezer paper and cut it out. 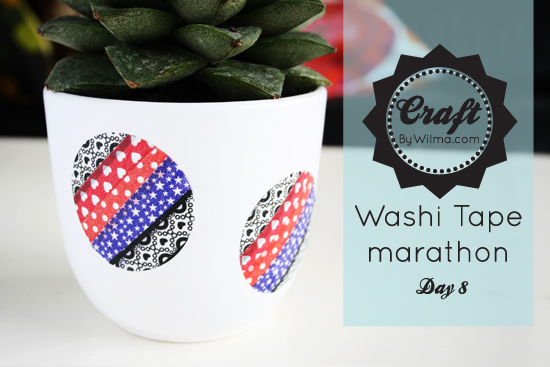 And there is day 7 of my 10 day washi tape marathon! This one is a nice touch to every party: washi tape confetti! You can put it on your drinking glasses, on desposable dinner ware or, if you don’t have a party in the close future, on for example your planters.